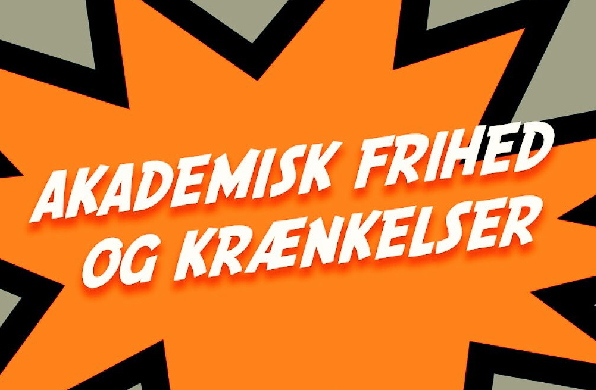 Barely a month after news broke that Copenhagen Business School (CBS) apologised to a researcher in 2016 for playing the old Danish song ‘Den danske sang er en ung blond pige’ (the Danish song is a young blond girl) because the individual found it exclusionary, a similar drama is unfolding at the University of Copenhagen (KU). Dean Jacobsen, an associate professor with the Department of Biology at KU, has voiced his disbelief that he has been forced to change his teaching to accommodate a group of students who felt irked that he used examples of men and women during his class on statistics. “I don’t have any interest in insulting anyone, obviously. It encourages me to think more about the way I teach, but I also think it’s absurd. They are studying biology and in the world of biology you are, from a physical point of view, born male or female,” Jacobsen told Jyllands-Posten newspaper. Following a meeting with the students in early December last year, Jacobsen felt compelled to change his teaching method to accommodate the students, but he has since regretted the decision, maintaining that doing so limits his freedom of speech and complicates his teaching. The students, who contend that the use of men and women in teaching is exclusionary to people who don’t identify themselves as being a man or a woman, argued that the change is a step in the right direction. “I think there is generally greater awareness among the students in terms of looking out for one another. There has been a general shift in society in recent years regarding people becoming more aware of each other’s differences and making room for one another,” Amanda Büchert, a spokesperson for the student council at KU, told Jyllands-Posten. Speaking to CPH POST, Büchert clarified that she did not think it would be a problem if accumulated knowledge was reassessed along new gender divides. “I think knowledge should always be up for discussion since this is what drives it forward, so we should always reassess and I think this is a healthy dialogue to take, which seems as it was taken in a proper manner,” she said. Jes Søe Pedersen, an associate professor at the Department of Biology, said that the case has been an eye-opener and that more and more teachers are concerned that more sensitive students can impact their work.